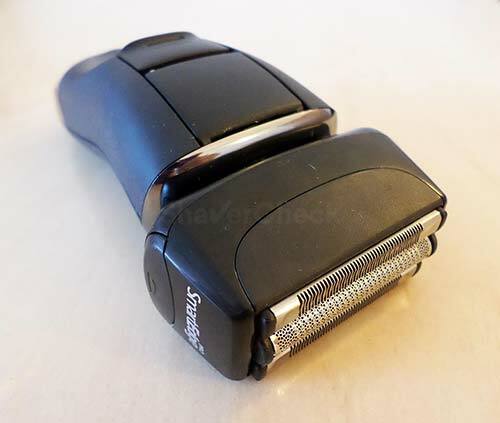 After a far from stellar experience with a few other Remington electric shavers, I was pretty intrigued by the new XF8700 that claimed to provide their closest ever one-pass shave. That bold statement alone is enough to stir one’s curiosity, so I decided to give it a try. The tests for this review were carried out over a period of three weeks. The razor was subjected to a wide array of shaving scenarios, including dry and wet use and various beard lengths (ranging from one to three days of growth). Read along for the full Remington XF8700 review to find out how it performed. Wrap-up — Who should buy the XF8700? One of the things that immediately caught my attention was the design of the shaving head. While most electric shavers feature a combination of one slit foil (for longer hairs) and two or more regular foils, Remington went for a less conventional approach, using just one perforated foil, flanked by TWO slit foils. Remington calls this Active Hybrid Technology and claims that it combines parts of foil and rotary shaving, basically giving you the best of both worlds. The two outer foils supposedly capture and pre-trim longer hairs, while the middle one cuts the short stubble close to the skin. The middle blade is also supposed to reduce vibrations, while the foil (with its irregular pattern) lifts and captures flat-lying hairs. Other noteworthy features are: wet/dry use, cordless operation, pivoting shaving head, charging stand, 5 minute quick charge, pop-up trimmer. The XF8700 feels sturdy and durable, despite its rather underwhelming aesthetics. It features glossy plastic in the lower part, while the rest of the razor is covered in a matte, rubbery material that provides excellent grip. A few silver and red accents add a bit of contrast to an otherwise lackluster design. 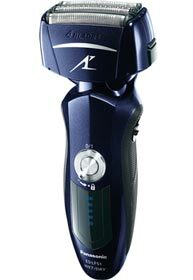 Holding and maneuvering the razor feels very secure and the light weight of it further improves the comfort of use. There are however some negative aspects that must be mentioned as well. The protective cap feels rather cheap and flimsy, but at least it’s there and it will protect the foils against damage. 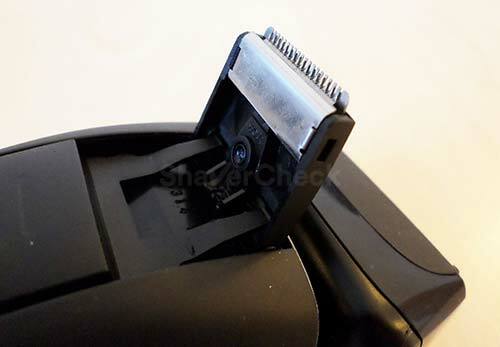 While the shaver’s general build quality is overall decent, there are some noticeable issues with the cutting parts. The pivoting function of the shaving head is rendered almost useless by the fact that it takes a lot of force to move it. In real-world shaving conditions that would mean applying a lot of pressure and that’s definitely something you should avoid doing. The second problem is with the three floating blades that move independently; the range of motion is extremely short and again, it takes a lot of pressure to do it and it’s far from being a smooth movement. Moreover, the middle cutter tends to remain jammed in this pressed down position. While this shouldn’t have a major negative impact on the performance, it is definitely something to keep in mind as the contour following and pivoting functions are practically non-existent. One of the more pleasant surprises with the XF8700 has to be the battery life. It is one of the best I’ve seen in any shaver. When fully charged, it provides enough power for up to 60 minutes of use. Battery status is displayed in a very simple and useful manner by showing the remaining shaving time in minutes. This is way better than anything you’ll find on most other electric shavers, regardless of price point. 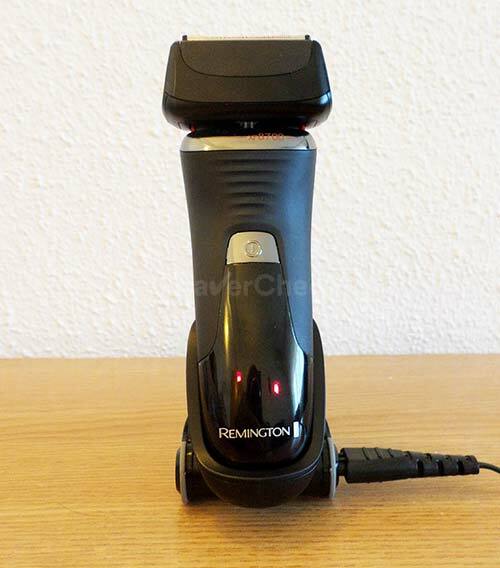 Charging the Remington XF8700 can only be carried out with the included stand; you do not have the option of plugging the cord directly into the shaver. That being said, it takes around 90 minutes to fully charge the battery. You also have the option of a quick charge — just enough for a 3 minute shaving session when you’re in a hurry. The charging stand also doubles as a travel lock: you can fold it and place the razor in it, covering the ON/OFF switch. Cleaning the Remington XF8700 is pretty much the same process as with all foil electric razors that don’t include a cleaning dock: pretty fast and straightforward. 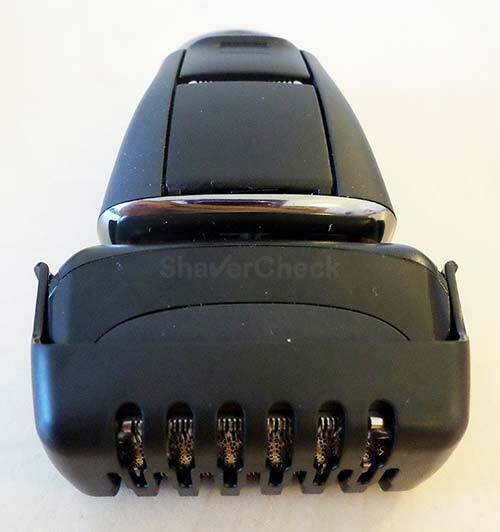 The foil assembly is very easy to remove by pressing the two side buttons located on the shaving head. Once the inner blade is exposed, you can use the included brush to carefully clean the hairs and dirt. It should not be used directly on the foils as they can be very easily damaged. For a more thorough cleaning, you can use a bit of liquid soap and then rinse the shaver and foils under running tap water. It is highly recommended to clean the razor after every use and lubricate the foil and blades every once in a while with a drop of fine machine oil. I was very eager to try the XF8700 since I haven’t used a Remington shaver for a very long time. Unfortunately, it didn’t live up to my expectations. The dry shaving experience was pretty poor; while short hair wasn’t really a problem (even though the closeness was not great), it really struggled with longer hairs, especially the ones on the neck. Despite its so called “Active Hybrid Technology” and the use of two slit foils, I had to go over the same area for multiple times. Long, flat-lying hairs were constantly left behind and I had to use a different shaver to finish the job. Adding a pre-shave lotion seemed to improve things a bit, but it was still far from a pleasant experience. Using a shaving cream usually makes a big difference for me, so I decided to give it a try; while the comfort was pretty good, I was still not satisfied with the closeness of the shave. I’ve used much cheaper electric razors that shaved closer than the XF8700. The shaver also sounds and feels underpowered. Shaving with it seemed to take much longer than usual. Another annoying aspect has to do with the positioning of the two slit foils. While most electric razors only use one (located in the middle), usually between the perforated foils, the XF8700 does exactly the opposite. There is only one finishing foil, placed between the two slit foils. Because of this, you can’t really use that middle cutter for shaving hard to reach areas (for example, your mustache area and right below your nose) since the slit foils are in the way. Also, the shaving head feels larger than it is. I’ve actually used 5 blade razors that felt more nimble than this one. Despite Remington’s claims of using specially designed blades to reduce vibrations, this has got to be one of the worst products I’ve used when it comes to vibrations. You can really feel them when the shaver is turned on (in your hand and against your face). The pop-up trimmer is also pretty bad. It feels dull and tends to skip and leave hairs behind, even though I only used it for some light grooming. Overall, the shaving performance of the Remington XF8700 was underwhelming (to say the least). It would have been nice for Remington to include a small bottle of lubricant for the foils and blades; also, the travel pouch looks and feels rather cheap. A hard, faux leather pouch would have been much better. Remington recommends changing the foil and blades every six months. Considering that most manufacturers suggest replacing the cutters once every 12 or even 18 months, that’s a bit disappointing. The price for a replacement head is quite reasonable, but given the fact that you’ll have to spend this money at least twice as often is something to consider. The part can be bought from Remington’s website. 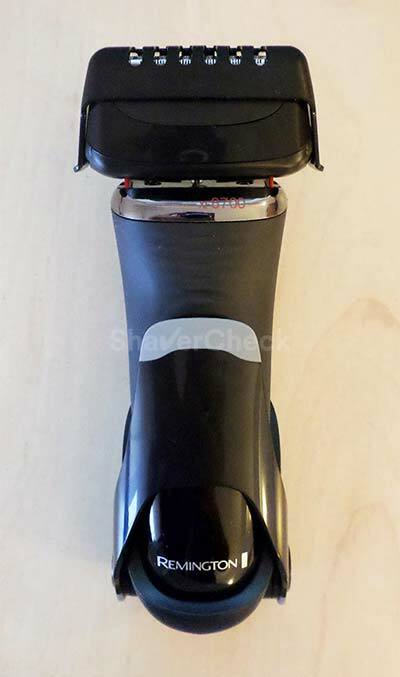 Taking into consideration the shaving performance, costs of ownership and the rather high purchase price, it’s really difficult for me to recommend this shaver. There are significantly better options in this price range as you’ll see below. Moreover, I’d go as far as saying that there are better products for less than half the price of the XF8700. The XF8700 does have a few positive aspects — like the excellent battery life — but this simply isn’t enough to compensate for all the other drawbacks. It would have been a decent shaver, but for significantly less money. For roughly the same price — maybe even less if you can find it at a discount — we have the excellent Panasonic ES-LA63-S Arc 4. 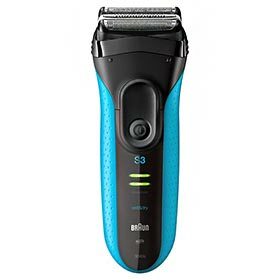 It features a very fast 14 000 CPM motor, a 4-blade shaving system and a second motor located in the shaving head that produces vibrations and lifts the hairs that lie flat on the skin. 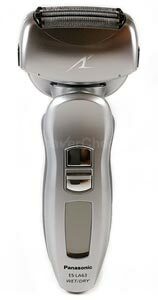 It is a vastly superior razor in terms of closeness, comfort and the time it takes to complete a shave. With a powerful motor, large shaving head and very sharp blades, it never feels underpowered and will shave faster and more efficiently. Another Panasonic from the same Arc 4 line that is also worth considering is the ES-LF51-A Arc4 that we reviewed here. 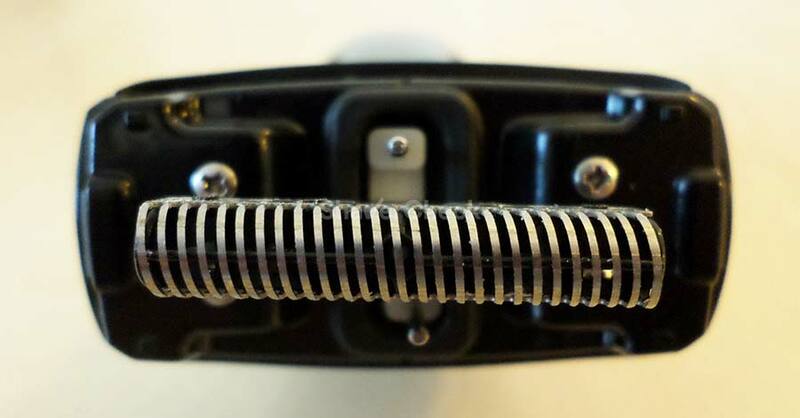 It features the same 14 000 CPM motor and 30 degrees hypoallergenic “nano-blades”. It will outperform the Remington in pretty much all regards while costing less. Moreover, the build quality, especially the cutting assembly, is superior. It also performed great in our month-long review, constantly providing comfortable and very close shaves. 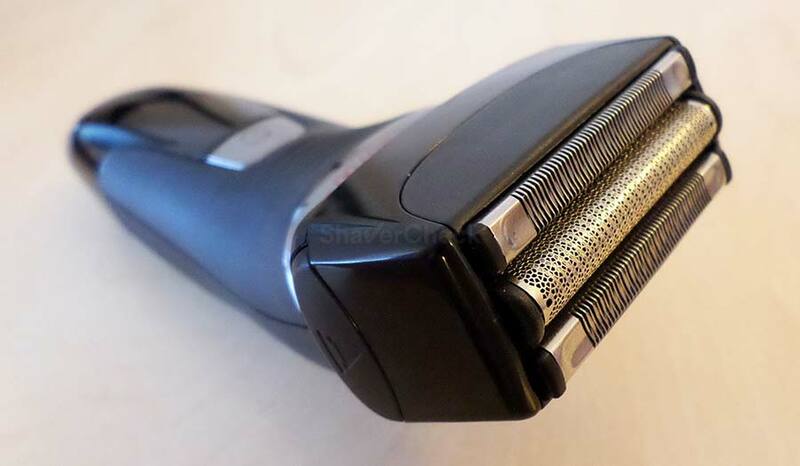 Other cheaper Panasonic razors that are also worth considering are the ES8243A, ES-LT41-K, and ES8103S. Finally, a very budget-friendly alternative is the Braun Series 3 3040s ProSkin. It has excellent build quality, provides adequately close and very comfortable shaves and offers excellent value for money. To put this into perspective, you can usually buy two (!) Braun Series 3 for the price of one XF8700. Also, the replacement heads (called cassettes) are inexpensive and will probably last far longer than the ones from Remington. Braun recommends replacing the cassette once every 18 months. You can check out our full review of the Series 3 3040s here. Home » Reviews » Remington XF8700 Review: Does It Live Up To The Hype? Very Disappointed after 3 weeks the edge of the outer foil snapped. Cannot find a replacement for spare parts. Sorry about that, Robert. 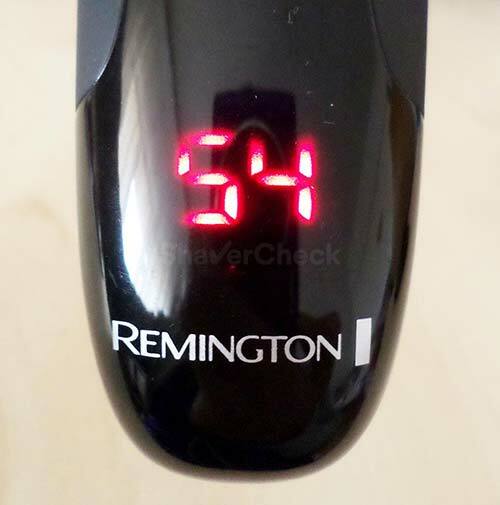 Reliability is an issue with Remington shavers and it’s the reason why I stopped recommending them altogether (even if the performance of a given model is decent).